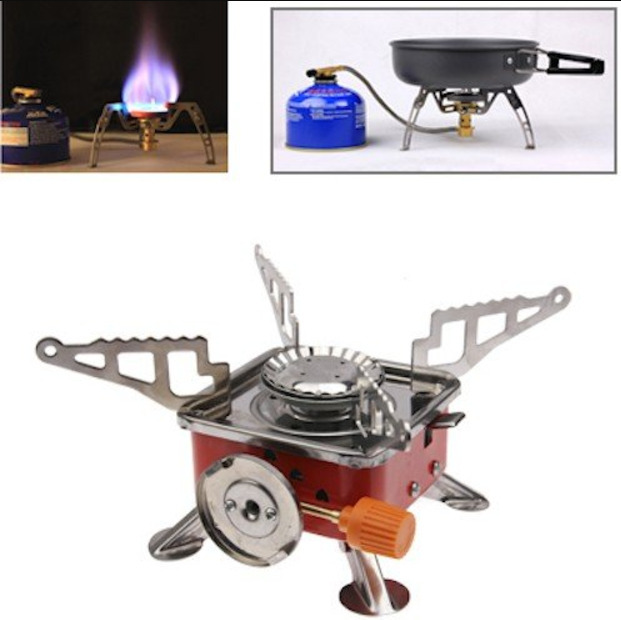 Hi, I’m interested in Portable Outdoor Picnic Gas Burner Portable Card Type Camping Stove. Please contact me. Thanks! Enjoy premium image performance with the Home Cinema Mini LED LCD Projector! Features a built-in 2.0-watt speaker and provides a screen projection of up to 60-inches! It also includes an A/V jack to connect a DVD player, TV, digital camera or video game console. An SD card slot is provided so you and your friends can view multimedia content via a Secure Digital card! There's also a USB port to project images from a USB flash drive! Plus, its portable design is easy to carry anywhere you go! This Mini AV LED Digital Projector provides a fast and easy solution for projecting presentations, watching movies or viewing vacation slide shows at home or in the office! Enjoy your meals on the go in comfort with this Car Travel Dining Tray. This Car Travel Dining Tray is a must have product for those travelers who love to go long as well as short distances. It enables you to place drinks, meals and other small items safely. The surfaces of car holder can be easily cleaned after each use which makes this tray easy to use and maintain. The car multi-function tray is easy to install. Attach to rear of car seat with belt. Folds into compact box when not in use. Best quality Mobility scooters are ideal for mobility, medical, disabled and elderly to get around to the shops and back or in a warehouse. Excellent for the well being compared to wheel chairs. You can talk to fellow people at eye level.It is very cool and you will get lots of attention. .No license required. We deliver Nationwide and can accept foreign payments like Paypal. We do hire out on short and longer term basis. Electric mobility scooter specially designed to be portable which has comfortable seat with arms, easy seat adjustment, extended floor board for more leg and foot room. This has a BUILT IN CHARGER - so no wires and fuss. No connectors required to dismantle. Nappi Coded. Medical Aid Approved. Collapses down to fit in the boot. When you buy from us you get technical support, advice & outstanding customer service. We have stock in Johannesburg and courier overnight to most towns in RSA. The Ratel GSM alarm system sends SMS notifications to your mobile phone informing you exactly which sensor has been triggered. You can also control and monitor the system with your mobile phone. The ideal alarm system for your house, flat, holiday home, boat, caravan or off-road trailer. Use the system to notify you if your front gate has been opened. Install the wireless sensor in your garage and be notified when the door is opened. Use the system to monitor your boat and be notified if it is being tampered with. Use the system when you are camping and be notified if someone has entered your tent or caravan. The system is portable and can easily be moved to another location. The system will send an SMS to your cell phone, informing you exactly which sensor has been activated. The alarm system can be controlled remotely via SMS from anywhere in the world. The alarm system can be programmed remotely via SMS from anywhere in the world. The system will notify you via SMS of human or animal intruders. The system can help prevent and reduce damage caused by raiding animals like monkeys and baboons. Using the magnetic sensor, you will know if cupboards, fridges, alcohol cabinets or any other items have been opened or moved. By pressing one of the 3 panic buttons it is possible to notify up to three different people, via SMS of an emergency. You can arm and disarm the system remotely via SMS. You can call the system from your phone and listen in. You can SMS the system to check if it has mains power or not. The system will automatically SMS you if there has been a mains power failure. You can SMS the system to check if it has been armed or not. This alarm system can also be installed in your home, your garden cottage or your holiday home. The system can run for up to 10 hours on its own internal battery. The sensors are wireless so installation is quick, simple and tidy. The system may be expanded to a total of 10 wireless sensors, each in its own zone. Each zone can also have more than one sensor in it. - Protect your homes, shops and business. Prevention is the best method for safety and this dummy camera offers the best in imitation security without the heavey price tag. Want a cheap and effective way to deter criminals to protect your home, shop or business? Look no further! !